Large-scale and ongoing international collaboration is critical if environmental policies are to succeed in stemming and successfully responding to global warming. Therefore, understanding and communicating about how people outside the U.S. think about climate change is an important part of YPCCC’s mission. In-depth research on public climate change knowledge, policy preferences, and barriers to behavioral change in the “dirty dozen” countries responsible for over 80% of global emissions (China, India, Brazil, UK, Japan, Germany, etc.). We have conducted national surveys in both India and China, where we performed “Six Americas”-style segmentations to enable targeted education and communication campaigns in each country. Our researchers have collaborated with the Gallup World Poll on an annual global survey (150+ countries) that includes questions on climate change. The first results were presented at the 2009 Copenhagen Climate Summit. 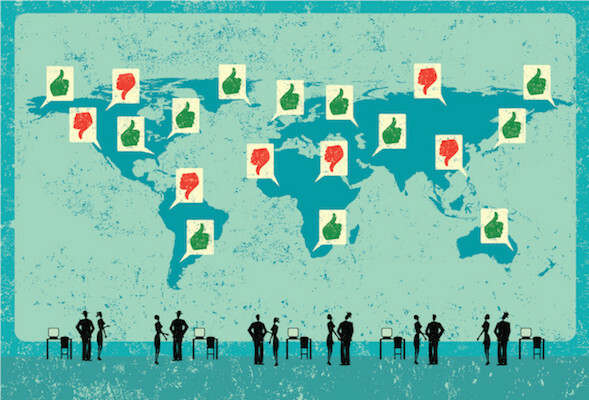 A 2015 article in Nature Climate Change explains some of this research, which identifies the main predictors of public climate change awareness and risk perceptions around the world.